The eyes of the world are focused on the U.S. economy. Buoyed by the continued strengthening of the economy, and the passage of tax reform, the future of the U.S. textile industry looks positive! Since the U.S. economy, is the world's largest, any developments here have positive impact far beyond our shores, so these changes will likely have substantial global implications. With this backdrop, textile executives around the globe are anticipating an optimistic environment as they prepare to travel to Georgia for Techtextil North America. The fifteenth addition of Techtextil North America will again be co-located with Texprocess Americas, making it the largest and best technical textile, nonwoven, machinery, sewn products and equipment trade show in the Americas! The biennial Atlanta event assembles all vertical aspects of the technical textile industry: from research and development, through raw materials and production processes, conversion, innovative treatments and recycling practices. 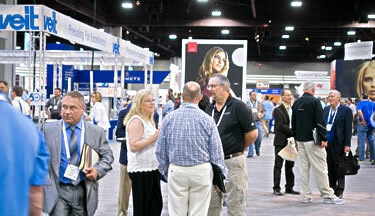 As part of the show, Techtextil North America will also be featuring a premier series of symposium sessions, giving attendees and exhibitors the opportunity to learn and network apart from the trade show floor. Techtextil North America / Texprocess Americas will be held May 22-24, 2018, and is THE "must-see" textile show for 2018! Techtextil North America provides attendees and exhibitors the opportunity to expand their businesses by meeting with leaders and decision makers involved with technical textiles, nonwovens, and geosynthetics. Premiere symposiums will address topics ranging from New Fibers to Nonwoven Advancements, Protective Fabrics, Smart Textiles, Sustainability, and more. Textile companies worldwide are targeting this event to promote their businesses and latest textile innovations, and to network with key designers and product developers. To register for Techtextil North America visit: https://messefrankfurtttnatpa18.expotracker.net/Registration.aspx or call: U.S. and Canada at +1-800-661-5319, or for International at +1-905-405-8415.